Attorney Biographies - Ira M. Emanuel, P.C.Ira M. Emanuel, P.C. Ira M. Emanuel is an attorney with thirty-five years of experience in real property and zoning law, estates and trusts, and mediation. He is a graduate of the University of Rochester and Albany Law School, and holds a certificate in mediation from Harvard Law School. Mr. Emanuel has a private law practice in New City, New York, where he has been involved with some of the most important land use projects in Rockland County, including the redevelopment of the Nanuet Mall in the Town of Clarkstown, a 500 unit active adult community proposed for the former Letchworth Village Developmental Center in the Town of Haverstraw, a 292 unit active adult community in Ramapo, and major projects on behalf of the Town of Stony Point and the Villages of Montebello and Sloatsburg. Mr. Emanuel helped to draft the initial and revised Zoning Codes for the Village of Montebello, the initial and revised Comprehensive Plan for the Village of Montebello, and the Comprehensive Plan and Zoning Code for the Village of Sloatsburg. Mr. Emanuel currently serves as Zoning Board of Appeals and Planning Board attorney for the Village of Montebello. He has served as Zoning Board of Appeals attorney for the Village of Suffern, and as a member of the Suffern Planning Board, Special Counsel to the Village of Sloatsburg, and Special Counsel for the Town of Stony Point. He also served as Counsel to the Rockland County Legislature for almost nine years. 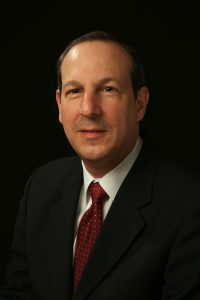 Through his "of counsel" relationship with Freeman & Loftus, RLLP, Mr. Emanuel has access to additional expertise in banking law; commercial transactions law; estates, trusts, and elder law; and litigators. Mr. Emanuel is a member of the Rockland County, New York State, and American Bar Associations. He is the Chairman of the Rockland County Bar Association Committee on Zoning. He is also an associate (non-government) member of the Rockland County Planning Federation, and a member of its board of directors. taught Certification Session I for the Rockland County Planning Federation. This course is required for Planning Board and ZBA members in all of Rockland County’s 24 zoning jurisdictions. Mr. Emanuel was one of the top 1% most endorsed in the United States for Zoning on LinkedIn.com (February 2013). Mr. Emanuel is rated "AV-Preeminent" by his peers in the Martindale-Hubbell directory. Ms. Mele has over two decades of experience successfully representing individuals, businesses and municipalities in complex litigation, commercial transactions, land use and zoning, contract negotiation and appellate matters. She served as the Town Attorney for the Town of Clarkstown from 2006 to 2015. Ms. Mele earned her undergraduate degree from the University of Delaware and her J.D. from New York University School of Law. Mr. Freeman was General Counsel to Provident Bank (now Sterling National Bank) for thirty years. Over a 50 year career, he has acquired comprehensive experience in banking, real property transactions, and real property financing. He is also a past president of the Rockland County Bar Association. Mr. Freeman graduated from the College of the Holy Cross and Fordham Law School. Mr. Loftus is a Town Justice for the Town of Orangetown, NY, and former attorney for the Orangetown Planning Board. He has an extensive background in real property financing, and was formerly President of Hardenburgh Abstract Company. Mr. Loftus graduated from the College of the Holy Cross and Washington and Lee University Law School. Mr. Kaiser’s practice concentrates on Estate Planning, Trusts, Probate, Medicaid and Tax Law. He has over 30 years of experience. Mr. Kaiser graduated from San Jose State University and holds a J.D. from the University of California, Berkeley, and an LL.M. in Taxation from New York University Law School. As Deputy Town Attorney for the Town of Orangetown, NY, Mr. Magrino currently serves as counsel to the Orangetown Planning Board. He also serves as Deputy Village Attorney for the Village of Suffern, NY, representing that village’s Zoning Board of Appeals and prosecuting building and zoning violations. Mr. Magrino has an active civil and criminal litigation practice. He is a graduate of Siena College and Pace Law School. Ms. Emanuel has extensive project management and administrative experience in both the public and private sectors, most recently with the Rockland County Department of Social Services. Her primary area of responsibility will be the preparation, compilation and tracking of zoning applications (planning boards, zoning boards of appeals, and municipal boards) and consultants' reports. Ms. Emanuel has a BA from the Wharton School of Business of the University of Pennsylvania and an MBA from Northwestern University. *Affiliated Attorneys are attorneys with whom we have a preferred referral relationship. They are independent of this office. Depending upon the nature of the work, and only with the client's prior consent, this office will either refer matters entirely to an Affiliated Attorney or will work together with the Affiliated Attorney.